Bong with belly and attractive hemp leaf decoration. The water tank ensures pleasantly cool smoke. 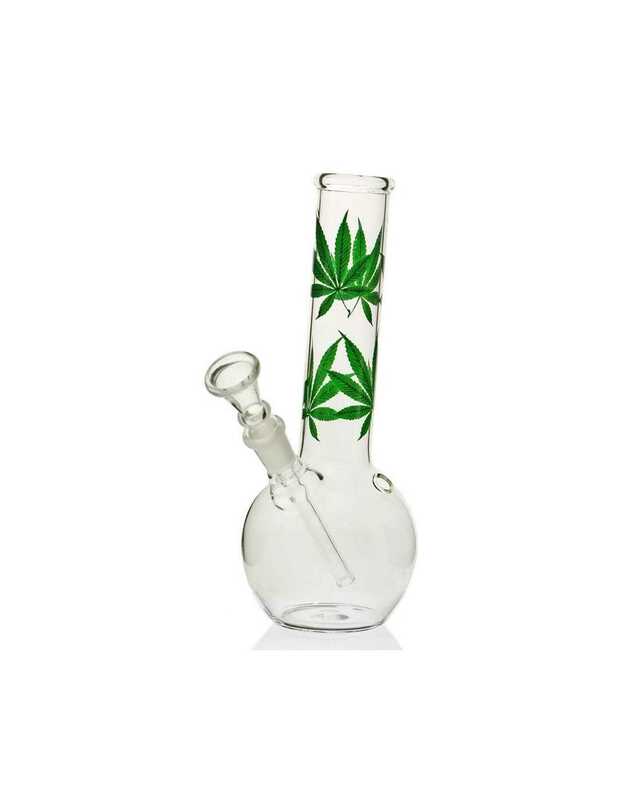 This bong is ideal for beginners.